When Mike started his career as a part-time personal trainer with Dynamic Fitness Management the company was a year old with four locations. Today Mike works with the DFM HQ team to lead Personal Training Education across 23 locations. We hope that you enjoy the stories Mike shared about his career and DFM's amazing growth. Matt: Really appreciate you sharing your time for this interview Mike. First question, what led to you wanting to pursue a career in the fitness industry? Mike: I was involved in sports since a very young age. When I went to college my intention was to study physical therapy. At some point over the years my interests switched over to athletic training, so I thought that was going to be where I ended up.. After diving into the athletic training world and starting to work clinical hours I realized that I simply didn’t have the desire to work 16 hour days (laughing). The degree I ended up graduating with was Exercise Science. After graduating I thought that my next step would be to go to graduate school and work towards becoming a physician assistant. However, during the process of applying I found out that you weren’t allowed to have a job while you were in the program, so that, along with the price of the program, was really tough for me commit to. I had recently started working as a personal trainer and had fallen in love with the work. After looking at that final student loan number I decided to commit to my new passion and ended up becoming a full-time trainer. This was around November of 2005. I ended up working as a Personal Trainer for two year and loved every aspect of it. After those first two years the company I was working for, Dynamic Fitness Management, was starting to ramp up their locations aggressively. I ended up moving into the management side of the business and started running a club as a Personal Trainer Manager in 2007. This was the sixth club for DFM at the time. IN 2011 I moved into my current position, which is the Director of Personal Trainer Education for DFM. As a company we're currently at 23 clubs, with the 24th on the way, so it’s been a great ride so far. Matt: I want to ask about when you were transitioning from going part-time to full-time as a personal trainer. What challenges did you have in the beginning stages of your career? What helped you become successful and build up a full client roster? Mike: The first challenge I had was to become comfortable with the sales aspect of personal training. I simply wasn't comfortable asking potential clients for money (laughing). I felt confident in my ability to train someone, but I hadn’t been training long enough to show clients with amazing results yet. I was only twenty years old when I started working part-time as a trainer. Having worked in this space for a while now, it's very difficult for many young trainers to fully understand the value they are providing. Luckily, when I was able to eventually convince several clients to train with me, I really excelled at building long-term relationships with them. I was able to make my clients comfortable in the gym, work with them to enjoy the training process, and help them commit to making long-term changes in their life. Building that long-term relationship that results in change is the hardest thing to achieve as a personal trainer. So, after about six months I my confidence grew and I was able to get my challenges with sales. After the early stages the biggest challenge I had, which I was always looking to improve, was working on how to efficiently idenitfy which method of training would help a specific client reach their goals. As a young trainer I saw that different clients required different strategies and I found it very interesting. I saw that if you wanted to be a successful trainer and have a long-term career you'd have to continually acquire tools to put into your tool belt. Matt: So after you had started to excel as a personal trainer you jumped into a new role as a Personal Training Manager and had to learn a new set of skills. What challenges did you have with with the transition? What helped you lead your training team to have the same success that you had as a trainer? Mike: The biggest challenge with running a training team was getting people to work as hard as you worked (laughing). When you decide that you want to make training your career, and are willing to work hard, you expect the same from everyone else. But that’s just not where everyone else is at in their journey, you know? So, just like I had to do with my clients, I had to learn about each of my trainers and find out what motivated them so we could work together to reach their own goals. Success meant something different to every single member of my team. Not everyone wanted to be have a fully booked training schedule for six out of seven days. So, that was a big learning curve as a young Personal Training Manager. I was 22 years old when I started so it was a big slap in the face (laughing). Another lesson that helped me was that the management team at DFM really wanted us to prioritize the service aspect of training. When I started first starting working with my team I think I was a little too aggressive with focusing on sales. It is a key aspect of being a successful trainer. You have to sell gym members on using you and hit your goals, but only talking sales isn't really the most effective strategy when communicating with the team. As I mentioned before, everyone has unique reasons for what motivates them, similar to how different clients will respond well to different methods of training. Matt: What were you looking for when hiring a new member to your training team? Was there anything in the interview that was a key indicator for a new hire to become a successful trainer? Mike: The most important thing I would look for when interviewing someone was personality. If I sat down with them I wanted to see if they could carry on a conversation and make the interview fun. The reason that this is so important is because personality is something I can't teach. It's impossible for me to teach you how to make clients comfortable and to make them trust you. As a Manager I knew I could educate new trainers on how to become effective at selling, training, and programming, but I couldn’t give you a desire to want to talk to people and vise versa. So, personality was my number one indicator for hiring a successful trainer followed up closely them having a strong work ethic. Matt: For those who aren’t familiar with Dynamic Fitness Management can you tell us a bit about the company? Mike: Absolutely. So DFM started as a company in December of 2004 and I joined six months later. When we started DFM was focused on subcontracting trainers to a local gym chain called Club Fitness here in Missouri. We were offering our training services to four Club Fitness locations with around 35 trainers and four employees at HQ. So, we started as a very small company. Even in at that early stage, and is still to this day, the owner was very involved and made sure that the company was focused on providing a quality service. We chose not to pay trainers based on their sales. Trainers were paid on the number of training sessions serviced. So, if someone sold a client a $5000 training package the trainer wasn’t going to get half of that as commission up front. This is fairly standard in our industry now, but at the time (in 2005) this was unique. So, I think that a foundation built on quality service really helped the chain we were working with, Club Fitness, and by extension our company as well. We went from working at four locations to 23 and are really excited to continue growing from here. 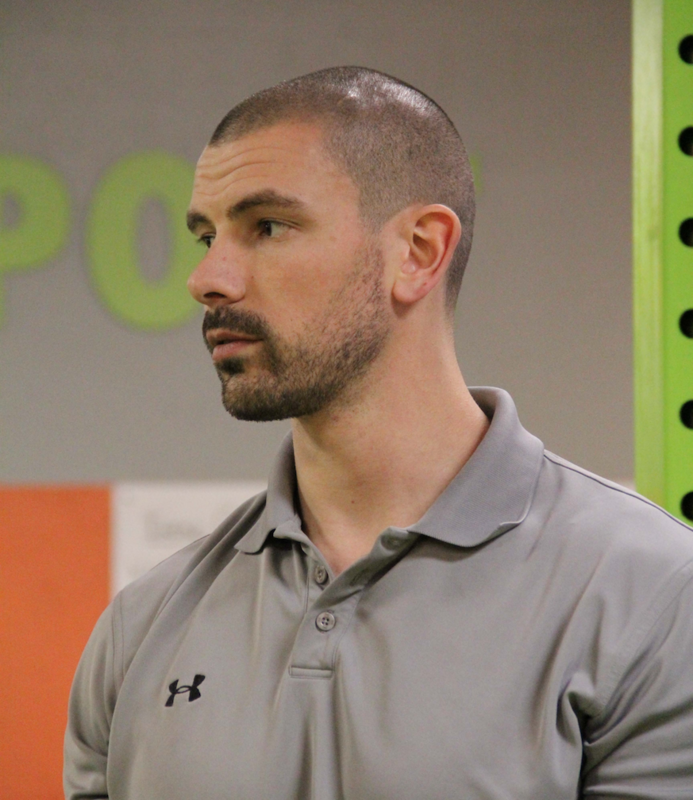 Matt: What does the process look like for onboarding new gym members to your services? Mike: Our trainers offer a complementary workout to every new member that comes into a Club Fitness gym. We’ll sit down, talk about their goals, walk them around the gym, and show them how to use equipment so they feel comfortable the next time they come in. After this workout we offer a one time intro training package of three sessions for $99. About 35% of the new members that come into Club Fitness take advantage of that opportunity, so it's super effective for converting new gym members over to DFM as clients. After this initial offer we sell training packages packages for 30-60 minute one-one-one training sessions or group training through the Club Fitness location. Matt: Can you tell me about how you transitioned over to your current role of DFM’s Director of Personal Training Education in 2011? Mike: Yeah, so this position didn’t exist when I filled it (laughing). As DFM grew it became clear that we had a need for this and it really matched my interests. 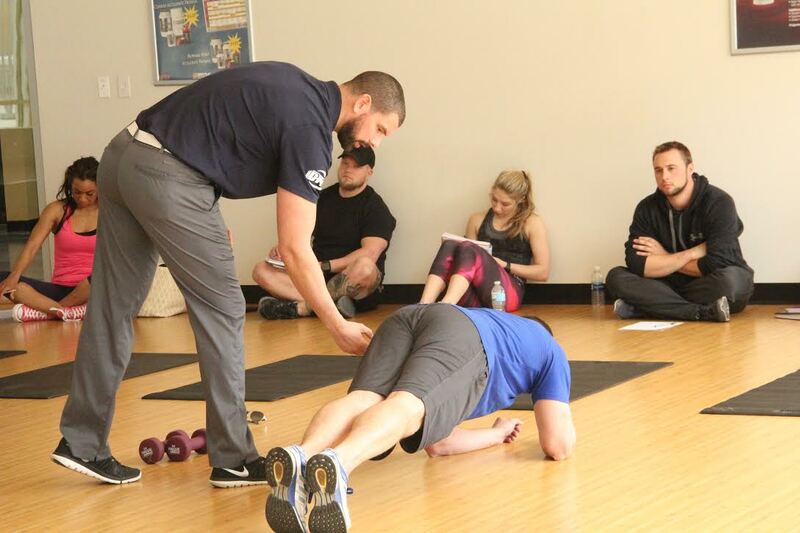 From the early days of being a PT manager I had enjoyed the process of educating trainers and watching their careers grow. Taking a trainer who knew next to nothing about fitness to watching them succeed and mature was very fulfilling to me. Moving into this newly defined position allowed me to do that at a larger scale. To add to that, I knew that this role was going to continue to a crucial part of the DFM growth. As a personal trainer you always have to looking at the latest research and training methods to improve your services. It’s my job to continue to learn how training is evolving and identifying what will be helpful to our training teams. Matt: How has your personal skill set evolved over time as the Director of Personal Training Education? Mike: The biggest difference from my last role to becoming Director was that I moved from working with trainers in small group settings to communicating with larger groups. When I’m working with a training team I could be speaking to anywhere from 10-50+ trainers at a time about sales, training, and so on. The biggest challenge was making these presentations less of a sit and listen experience and more of a collaborative learning experience. I wanted to encourage trainers to come up with their own answers instead of me just feeding answers to them. I wanted to be a partner in their personal education instead of a coach. To add to that, I’ve also invested a lot of time over there years to studying different certifications and training methodologies. From USAW, to Crossfit, to NASM, corrective exercise through NASM, and so on. Recently I earned the Starting Strength certification, which was the most challenging certification process I’ve had to go through yet. It’s important to me that I continue to improve my own knowledge base so I can give a high level of service to my training teams. Sometimes personal trainers can be so focused on working with their own clientele that they will not put in the time or energy to continue to improve their knowledge base. Personal training is a challenging job sometimes with long hours and weird breaks, so it’s my job to deliver this knowledge in an effective manner to them. Matt: I love it. So what is your Dynamic Fitness Management team working on right now that you’re excited about? Mike: We’re really excited about continuing to strengthen the relationship we have with Club Fitness. In the first few years of working together it was more of a Us or Them kind of deal. If someone came into the gym and asked a question to a Club Fitness employee they would say “Oh, that’s a training questions. We don’t handle that.” Same thing on our end when it came to issues with gym, such as a treadmill breaking. We’d push that back over a Club Fitness employee because we didn't’ see that as our problem. This is an area that we’ve grown a ton in as we’ve continued to focus on the client experience and I’m really excited to see this get even better. I think we’re doing a really good job of creating an atmosphere where our trainers care about everything that’s going on in the club and the club employees care about what the trainers are doing. Another project I'm excited about is a new training service with Club Fitness called the Burn Zone class. The class is inspired by Crossfit and Orange Theory and it's going to be offered in a separate room within Club just for this service. We've recently started testing this out and I can’t wait to see where it goes. I believe it’s going to help engage new Club Fitness members and introduce them to the other great services we provide. Matt: What do you think the next 2-3 years will like for the Dynamic Fitness Management team? Mike: We want to continue to expand with Club Fitness as their company continues to grow. We are now in the franchising agreement with Club Fitness, so we’re excited to see where that goes. We’ve tried working with a few smaller gym chains outside of the St. Louis market in the past, but it’s never worked out really well. The partnership that we’ve created with Club Fitness is very, very strong and we’ve really grown to appreciate it over the years. So, moving beyond the St. Louis market will be a fun new challenge. As a byproduct of this growth, we’re going to eventually have a need for new team members with roles similar to mine for new markets we move into. The opportunity to develop several new Directors is something I'm really looking forward to.